KANSAS CITY — So, where are there jobs for the taking on Thursday night in Kansas City? Keep an eye on the defensive backfield, where a slew of young cornerbacks and safeties have had their moments throughout training camp, making bids for roster spots. There isn’t room for all of them, but one or two could end up on the 53-man roster, and any who clear waivers could return on the practice squad as well. At corner, the players to keep an eye on are Robertson Daniel, Josh Hawkins and Warren Gatewood. Makinton Dorleant is also in the running for a job, but he injured a hamstring in last week’s preseason game in San Francisco and will not play. At safety, the young contenders are Kentrell Brice, Marwin Evans and Jermaine Whitehead. Brice has probably made the strongest impression of the three and was on the first-string special-teams units in last week’s game, a good sign for him in his bid to make the team. Punter debut: The Packers’ new punter, Jacob Schum, will make his Green Bay debut tonight. Schum was claimed off waivers from Tampa Bay earlier this week and replaced Tim Masthay, who was released. Undrafted rookie punter Peter Mortell was released a day before Masthay. The job isn’t necessarily Schum’s for the regular season, though. He’ll try to make his best impression tonight while the Packers will have their eye on any available punters over the weekend as well. Weather update: Another beautiful night for preseason football. 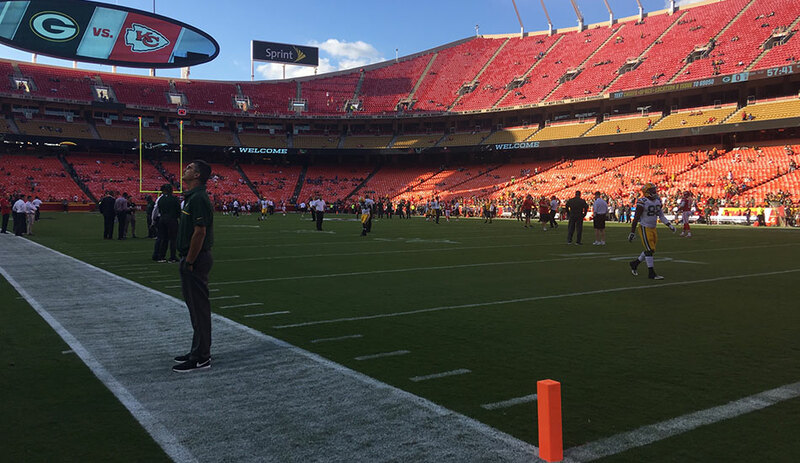 Temperatures in Kansas City at kickoff are expected to be in the mid-70s, dropping into the high 60s later in the evening. There’s no rain in the forecast and winds are light.